Just north of Commerce Street on Second Avenue N.
VALET BY SP+ PARKING IS $10. Valet is provided by an independent vendor. Note: Downtown events can interrupt valet service. The most convenient garage parking is the Commerce Street Parking Garage or parking in the Caremark Building. Both have entrances Commerce between Second and Third Avenue. 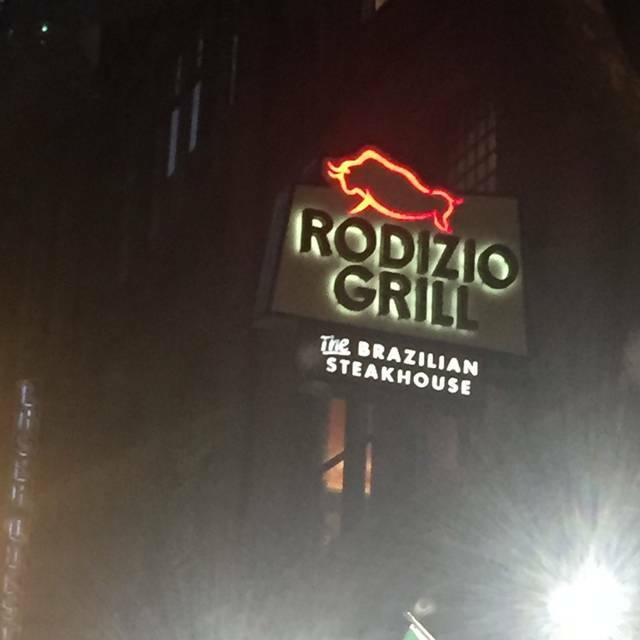 Rodizio Grill is Nashville's only authentic Brazilian Steakhouse. 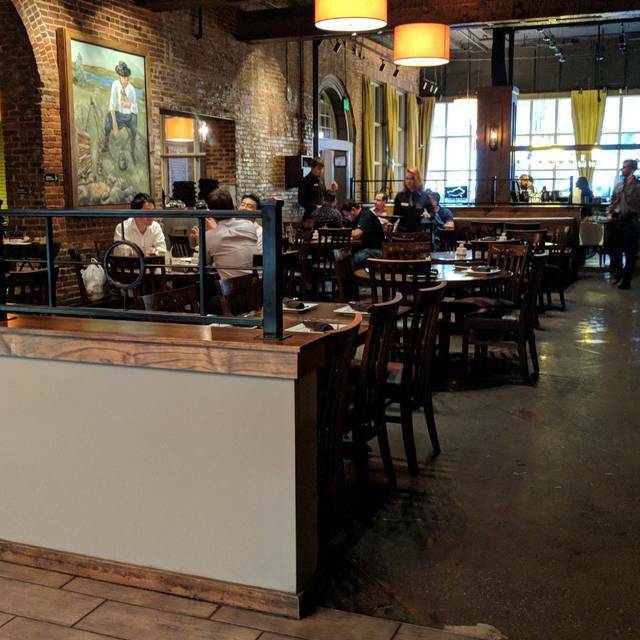 Rodizio Grill is located on Historic Second Ave. in the heart of Downtown Nashville's Entertainment District, just one block from Broadway Honky Tonks, 2 blocks from Bridgestone Arena and walking distance to downtown hotels, Schermerhorn, Music City Center, TPAC and Nissan Stadium. Parties of 2 to more than 200 welcome. 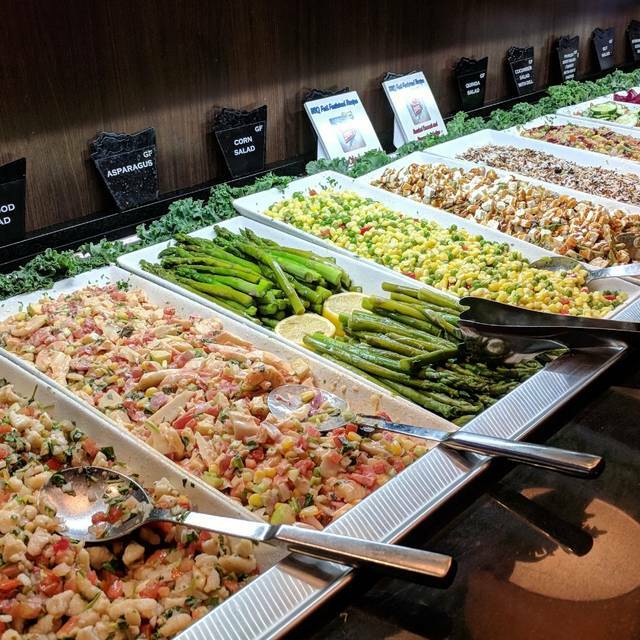 The Steakhouse features unlimited Brazilian appetizers, a large gourmet salad area and endless slices of rotisserie grilled steaks, lamb, pork, chicken and fish. The grilled meats are carved table side by our Gauchos (Brazilian Cowboys). The restaurant also features a variety of Brazilian Cocktails including a flawless executed Caipirinha (Brazil’s National Drink). Refreshing non-alcoholic specialties like the Brazilian Limeade and a Bahia Breeze are also featured. Guarana the Brazilian's favorite soda is also available. Meet the Bunny Brunch - Open at 10:30a.m. $41.99 Special Easter Menu All Day. Children 12 and under $17.99. Everything thing was great! Just a couple of minor things of my Mac and cheese was cold and our server was very courteous and polite, just needed to come around a little more. But really no big deal because it was very busy. We thoroughly enjoyed our experience. The service and food was impeccable. We will definitely be back! The service was great! The food just kept coming and we were able to try almost all the meats. We actually got full before we got to all of them. Definitely warrants another visit! The reservation with Open Table was a good way to go as well. Very please with this restaurant! My son pick this for his birthday lunch with his friends. We had excellent service along with excellent food. They all had a fantastic time! It is definitely worth it, everything was absolutely delicious and fresh! This was our first visit, and it was awesome. I will definitely go back and recommend to everyone. The food wad delicious and servers were friendly. The staff were very friendly! This was our first time to a restaurant like this and they explained how it all worked very clearly! The food was amazing!!! You could request to have the same meat that you already got served or to not have a certain meat brought again. Excellent food and deserts. Great time for the family. Thank you so much for amazing night. We celebrated two birthdays… My husband and mine with our family and it was truly amazing. We love coming! Most certainly we will be there again… For our anniversary in June! You guys always make it super special. All of the food was amazing our servers were there promptly every time! The restaurant is super festive and everyone seem to be having a wonderful time. 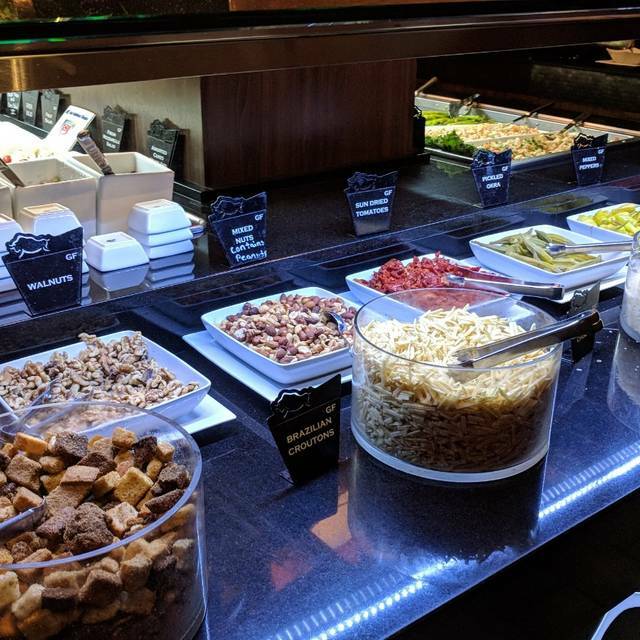 The food bar is always a great way to start your meal and I have to say that my absolute favorite thing that they bring around to the table is the pineapple! Rodizio's is a wonderful place to celebrate special occasions with family and/or friends. It's a pricey dinner, but the food is delicious. They have valet parking which is important for 2nd Ave. in Nashville. I highly suggest reservations, and allow some time for Downtown Nashville traffic. I have been to Rodizio more than once, and I always try to bring someone who has never been. The food is always great, servers are attentive, and my guests are still talking about the experience 3 days later! Food was amazing! Was my first time and I'm already thinking of going back. Food keeps on coming. Everything was very tasty. You will definitely go away satisfied (or overstuffed if not careful). Really good and a great experience!!! 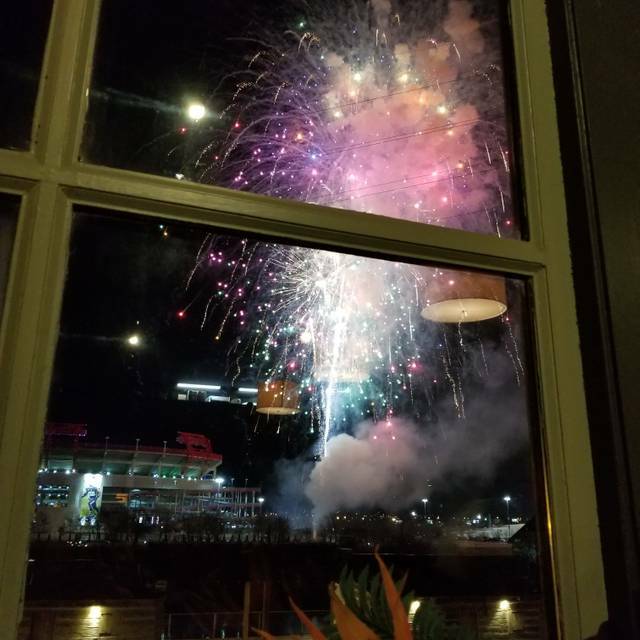 Went for a birthday celebration while in Nashville. This was a great restaurant for a celebration. Service was spot on , Food was excellent and kept on coming. Overall a great experience. The food and service simply CANNOT be beat!!! Dining at Rodizio is an experience. I was a bit disappointed with the experience. I will say the Meats were delicious - but the rest of the experience, not so good. I made reservations as it was my son's 13th birthday. Upon arrival we were escorted to our seats and the gentleman who seated us made small talk with my son about his birthday and asked if he wanted all the "singing" etc.... That's where it went downhill. My 13 year old of course will say no, it wasn't his decision. It was an adult decision and we made the reservation to celebrate, and that's what we wanted as part of the celebration. Our waitress was high and hardly came to the table. Other servers took our plates and we had to ask if one could bring us water. He was gracious with a smile. The guys serving the meet were friendly enough as well. Going back to the birthday thing. I at least expected a candle in the cake.... But no, and she was so pre-occupied, the whip cream was running all over the place and the ice-cream was melting.... clearly it had been sitting a while. In all fairness, as I mentioned, the meat was great. 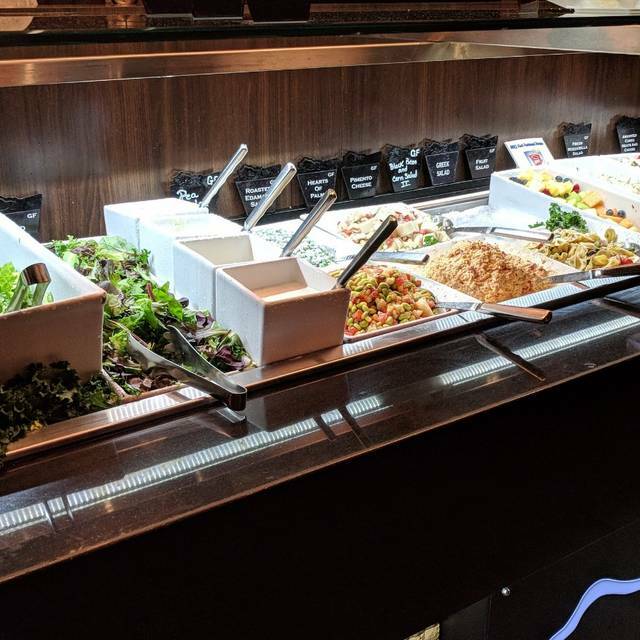 The salad bar had a large selection but I've seen better Brazilian buffet selections, so I don't give it an exceptional rating. The website said business casual - Not required. Nice change of pace from Broadway. Great food and service. No rush to get you out the door. Aún sin ser la primera vez que comemos aquí, esta es la primera oportunidad que tengo para decirlo: AWSOME! la comida de mejor selección, las carnes una delicia, las ensaladas frescas! servicio de otro nivel y el ambiente muy bueno. Definitivamente recomiendo este lugar. All around good, different experience. Good service and nice little salad bar. The best Experience by far, Amazing Food and Service. 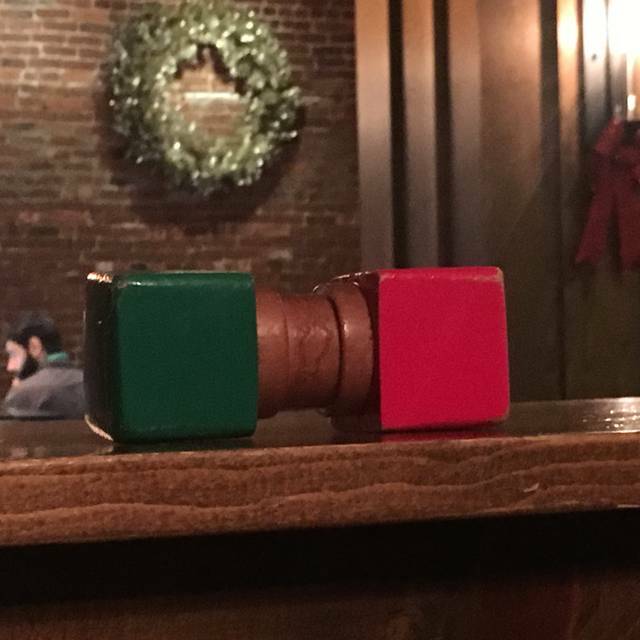 They stopped serving meats even though the table signage was green for over over 7 minutes. So we took that as a sign to say we will are stopping serving you. So when saw the meat servers were passing our table and serving tables around us, we asked for our check and left. The waitress was super nice and checked on the table often. 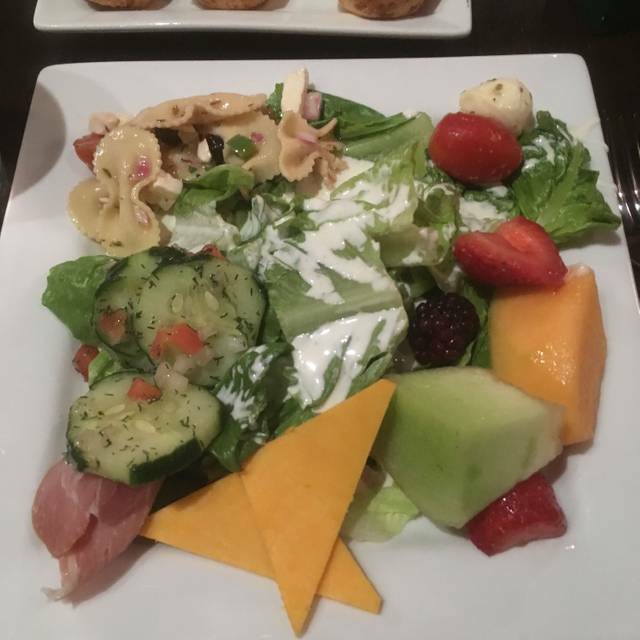 The food was very good and the salad bar was outstanding! I am gonna have second thoughts about coming here again in the near future. We definitely enjoyed our meal. Our server was not as attentive. Even though my husband changed his drink order before she brought it, it seemed like she was upset. She didn’t check on us as much. We had to get her attention just for him to get more sweet tea. She was going around another table with a pitcher of water and never came to our table asking if we’d like more water. Once our bill came I noticed that she still charged us for the original drink he ordered, when I asked her if she could fix it since he got tea her demeanor changed. I didn’t think she put much effort to provide great service for us. This was our first time at your establishment. Other then this we will definitely try a second visit with a different server if possible. Service was poor, finally decided to get up to go to salad bar after being seated for 15 mins without a drink order. The gaucho's were not very attentive. We didn't get a significant amount of meat and had to wait a long time to receive the meat. We were seated at a table in the rear just as you come down the hall past the restrooms, we were bypassed for the meat options. Waiters continuously walked right by us and we literally had to stop them in order to get meat. The meat wasn't terrible, but it certainly did not meet the expectations that come with a $39/person charge. The salad bar and sides offered simply were not good and completely unimpressive. If this had been priced at $25/person my review might be a little higher, but for the money you can do a lot better somewhere else. Rodizio was very good, but was it $120 good? (Dinner, tax, tip, valet, tip for valet). Not really. It was a good experience though. We dined here after a theater show on a Saturday evening. It was an early dinner and the dining room was not too busy when we got there. The diners were lined up and waiting to get in when we left. I will start with the good. Our server, Kennedi, was fantastic! Her energy and sense of humor were a great fit for our crew. The drinks were OK - but the wine list was a disapointment for folks who usually get wines by the glass - not a lot of good variety. The bad - the sides and salads were a bit disappointing. Not much variety. The meats that were brought around by the carvers were also a disappointment. We waited forever for filet and when it came, much of it was either over cooked and crunchy or under-cooked and bloody - from the same server. Much of the meat was so fatty that we had to keep a plate on the table to carve away the fat and get rid of it. The ham was so over-cooked that it was tough and chewy. For the money, there are much better restaurants to visit in Nashville. This was a huge disappointment. I’ve been there about about five times, but our server and staff were outstanding this time around. Love to go for late weekend brunch. 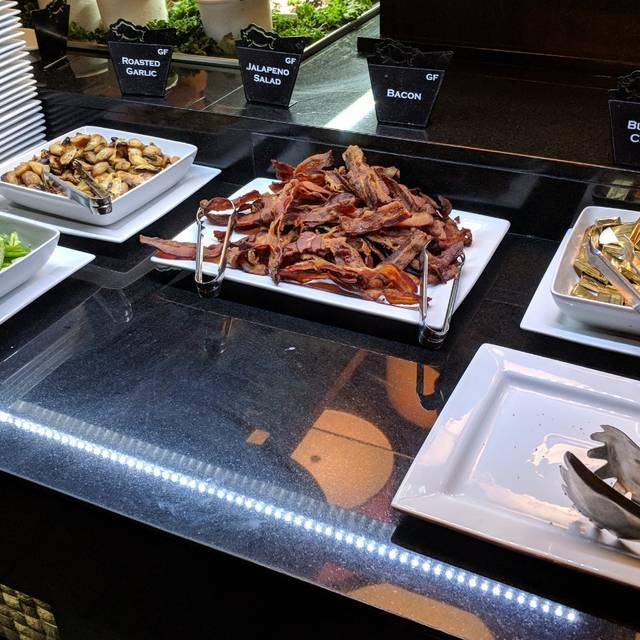 There's great brunch options at the food bar. The salad bar is the best ever! My favorite is the coconut slaw. Brazilians really know how to combine foods uniquely that are flavorful. My husband and I enjoy coming here and know that there will be plenty of healthy vegetable options. We took a group of family who had never been to Rodizio for brunch and March Mimosa Madness. Everyone loved it! The comments on what a great idea, what wonderful food, and what a pleasant atmosphere were abundant. We all plan on returning soon. Obrigado!! - We appreciate the five star review. We hope you will go Rodizio again soon. Steak was all over cooked and the service was incredibly slow. Will not return. Josh - So sorry to hear that your experience was less than perfect. Our goal is to serve our beef in the Medium Rare to Medium range. We work to accommodate guest preferences on both ends of the spectrum. We hope you will give us again. Please never hesitate to bring any issue to a manager's attention - our team relishes the opportunity correct and issue before a guest leaves. We are committed to learning from all feedback and insuring that all of our guests enjoy exceptional food.